When I was asked to write the opening letter to you for the month of November, the first word that came into my mind was ‘Remembrance’. This is the month that the nations worldwide come together to remember all those who gave their lives for us to live freely in our homes today. It is 100 years since World War 1 finished and 73 since World War 2 ended. Today there are people still remembering fallen comrades and who are very reluctant to speak about their experiences. There have been many more since affected by different wars. In my own Guild, Banchory East, we celebrate 132 years since our formation on November 3rd 1886. The Guild has moved forward in many ways since that first meeting. One thing that stands out is that the Guild is getting away from ‘’ we have always done it this way’’ and are challenging ourselves to find a different, more modern approach. During November we all have fond memories of the worship, fellowship and prayers we share in Guild Week. As you may know, Guild Week from 2019 will follow the Annual Gathering. 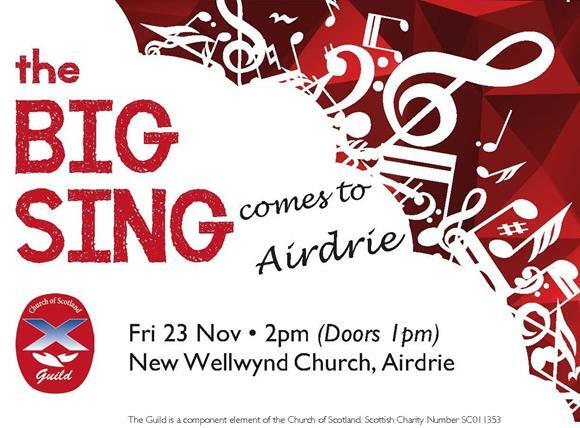 The Big Sing during Guild Week takes place on 23rd November in New Wellwynd Church Airdrie at 2pm. 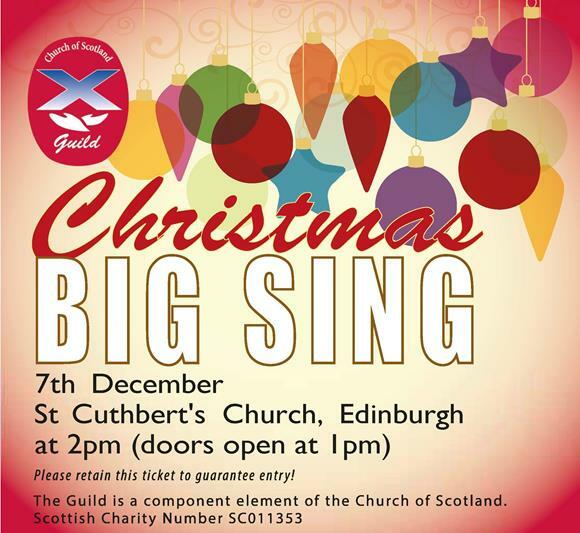 The Christmas Big Sing will be held at St. Cuthbert’s Church Edinburgh, also at 2pm. Looking forward to seeing as many of you there as can make it. At the end of the month is the start of Advent and we prepare to remember the journey of Joseph and Mary as they seek their way to Bethlehem. 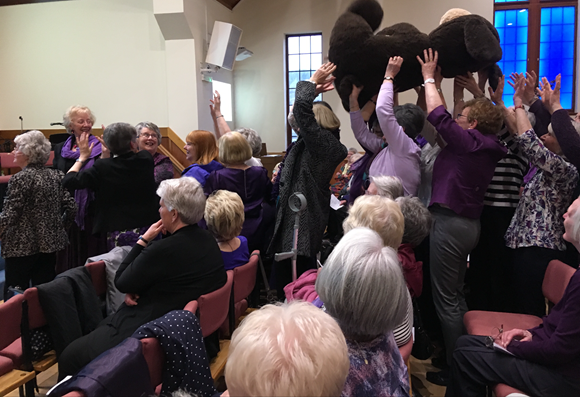 Members at Baljaffray Church Guild had great fun in October when they were joined by Deborah Chestnut BD, who spoke on the theme "you’re never too old" and this is them proving we’re never too old to have fun! How might your Guild prove to yourselves and the wider community that 'you are never too old' to be involved in the Guild and by the same token you are 'never too young'! 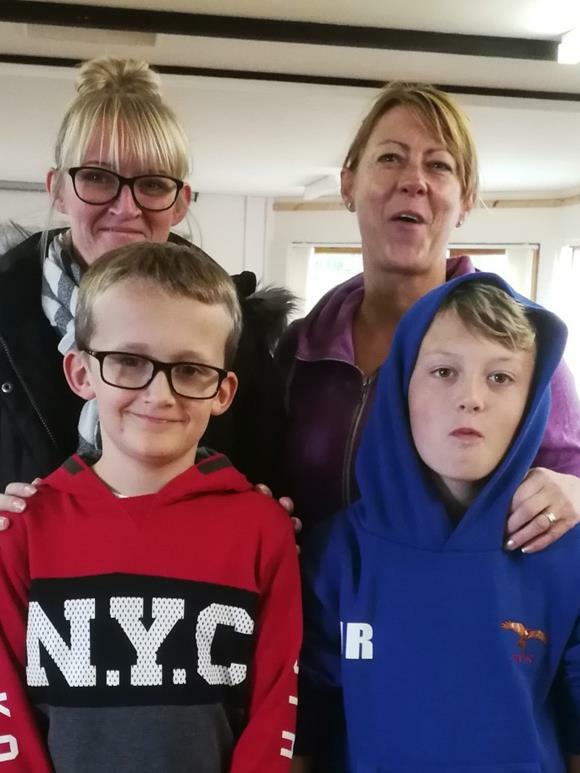 As a contribution to the Year of Young People, Ferintosh Church of Scotland Guild held a Treasure Hunt around Conon Bridge and Maryburgh for teams of four children and adults. The children ranged in age from 4 to 12, and everyone who took part enjoyed the afternoon, which included snacks on return to the Church Hall. The winning team, the Bumble Bees (pictured here), completed the 3.9 mile course, with 20 correct answers, in 1 hour and 4 minutes. Second were the Fermers and third PALRA. The Guild was very grateful to the many local businesses who generously provided food and prizes. Let us know what your Guild is doing to celebrate the Year of Young People! From 22 to 25 October, Guilds gathered for a series of "Roadshows" in Arbroath, Forfar, Fraserburgh and Stonehaven. The days were well attended and were a great mix of worship, information, resources, conversation and celebration. These events are a chance for the national team to meet local Guild members and for everyone to share opinions and ideas from their perspective...all with a view to supporting the amazing work of the Guild in local, regional, national and international contexts. The Guild is so much more than the sum of its parts and gathering together like this isrefreshing and energising for everyone involved. We look forward to the next Roadshows in Fife and Tayside in 2019 and to many more places in the future. As well as the range of tartan items we have available in the Guild shop, we now have the Guild tartan to buy by the half metre. 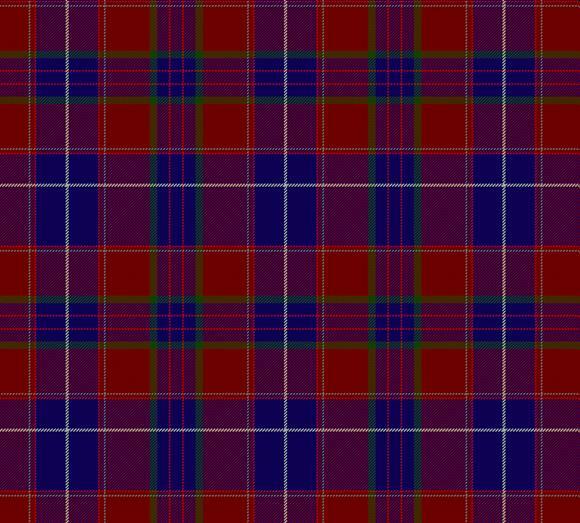 We have 2 weights available with 8oz tartan selling at £15 per 1/2 metre and 12oz tartan selling at £17.50 per half metre. Why not think about making a Guild table runner, pulpit fall or even skirt or waistcoat in the tartan? Send us your pictures if you do! Our Big Sing in Airdrie is now a sellout and we are looking forward to welcoming over 700 Guild members and friends to New Wellwynd Church. If you have tickets that you no longer need please return them as soon as you can so they can be given to those on the waiting list. The hymns and readings have now been chosen and it is shaping up to be a great day. Doors will open at 1pm and there will be a Guild shop available both before and after the event where you can stock up in Christmas cards and gifts. There are just a few tickets left for our Christmas Big Sing in St Cuthbert's Church, Edinburgh. The church is easily accessible by public transport and there is car parking nearby. If you would like to join us, then please get in touch as soon as possible so that we can get your tickets out to you. Once again there will be a Guild shop available before the event, so bring a bag! 2 Nov for the Boys’ Brigade Juniors Sleepover event happening at the Glasgow Science Centre with 400 boys attending. Pray for Dez Johnston from Alpha Scotland, who will be leading evening devotions. 9 Nov giving thanks for all who attended Guild Roadshows in Arbroath, Forfar, Fraserburgh and Stonehaven. Pray that they have been encouraged and enabled to grow their Guild in the months ahead. 16 Nov for the chaplains, volunteers and other ship visitors, who provide much-needed kindness and support to visiting seafarers in Scottish Ports. 18 Nov giving thanks for the many worship services being run across Scotland by Guild members. Pray that they will encourage their congregations to support the Guild locally and nationally. 19 Nov on World Toilet Day, for all those who do not have access to a clean, safe toilet. 22 Nov for the United Church of Zambia congregations where our project will be having their activities, that they will own the project and accept the girls as they are. 23 Nov celebrating with the 700 people joined in New Wellwynd Church, Airdrie for the Big Sing. Pray that God will richly bless the event. 27 Nov God says that he places the lonely into families (Psalm 68:6). Heavenly Father, help us to be like families to those we encounter who are isolated and feel abandoned. 29 Nov for all those living in the Occupied Palestinian Territories, that a peaceful solution be found to establish a two state solution that allows both nations to live alongside each other. 1 Dec on World Aids Day, for all those infected and affected by HIV/Aids, particularly the children in the village of Jooma, Malawi supported by the Livingstonia Synod Aids Project. 6 Dec for all the members of the Boys’ Brigade Scotland Committee, which is responsible for overseeing the Brigade’s work in Scotland. Five new young leaders (Callum, Robert, Scott, Duncan and Ryan) have recently joined the Committee and they have a new Chairman (Ronnie). Pray for God's blessing on them as they contribute to shaping the BB’s future. 7 Dec celebrating with the 700 people at St Cuthbert’s Church, Edinburgh, for the Christmas Big Sing. Pray that God will richly bless the event. When is the International Day of the girl child? The answer was 11 October. The winner is Cicely McCulloch from Howgate. Congratulations Cicely, your prize will be on its way to you soon. This month's question is: Guilds in which county will welcome the present and past National Conveners this month? Answers to Guild Office by 30 November for your chance to win some Guild goodies! We pray for our communities: the people we are called to love, the people amongst whom we work; us, together, within our communities; every one known to you and loved by you. Grant us discernment that we might know how to serve in practical and spiritual ways, that we might more fully understand the lives of others, that we might embody the love of God in everything we do as part of these communities. Grant us courage to stand with those on the margins, to challenge inequalities, to fight injustice and to be a light in the darkness. 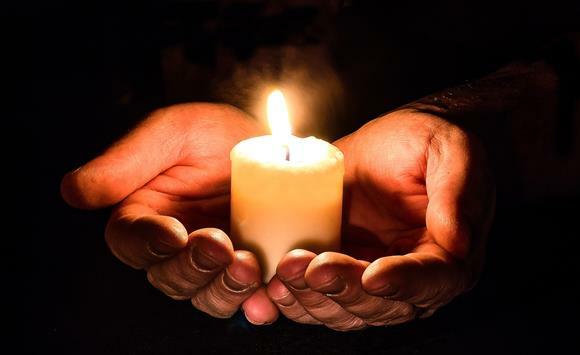 Grant us humility, to recognise the poverty of our understanding and the depth of your wisdom, to acknowledge the riches of your grace and your endless desire to renew, as today, your presence renews our lives. May our community be a place where the gifts of many are united in common purpose, where all are allowed to flourish and be valued, where together we are built into a dwelling place for the Holy Spirit, as together we grow in love. Well, that's everything for November's edition of Guild e-news! 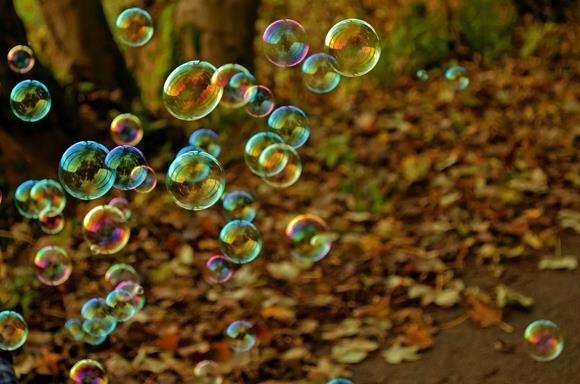 If you have something to contribute for the next e-newsletter, then please email guild@churchofscotland.org.uk <mailto:guild@churchofscotland.org.uk?subject=e-newsletter%20contribution> - we can't wait to hear from you!